A number of years ago I sat with my father-in-law in the Pearl Harbor WWII theater watching the movie presentation of the Japanese bombing of Pearl Harbor 75 years ago. It was gut wrenching to say the least. After the movie, we all boarded small boats for the short jaunt out to the Arizona Memorial in the Harbor. As we stood there looking down into the water, droplets of oil and air bubbles popped at the surface. The oil and air came from the Arizona down below where a couple of thousand valiant Americans are entombed, left there forever. I will never forget the look in my father-in-law’s eyes as he looked around at the crowd with us in that theater and on that boat — almost all Japanese tourists. My youngest daughter had a friend in college who came to the U.S. for the first time to enroll her freshman year. She came from Japan. Surprisingly, she knew nothing of the bombing of Pearl Harbor or the horrors that unfolded during WWII. Why? Japanese history books do not contain the story of the bombing of Pearl Harbor. And in fact, Japanese history maintains the U.S. started the War with Japan and the Japanese fought back only to protect their country from the invading Americans. History unfortunately seems to be collected and maintained not as it actually occurs, but as those who write the books choose to portray it. Remember that. I urge all to record the history that you share in your life with others somehow so it does NOT change through the years. Thousands of brave men gave their lives 75 years ago because a spineless Emperor in Asia wanted to lay claim to America. 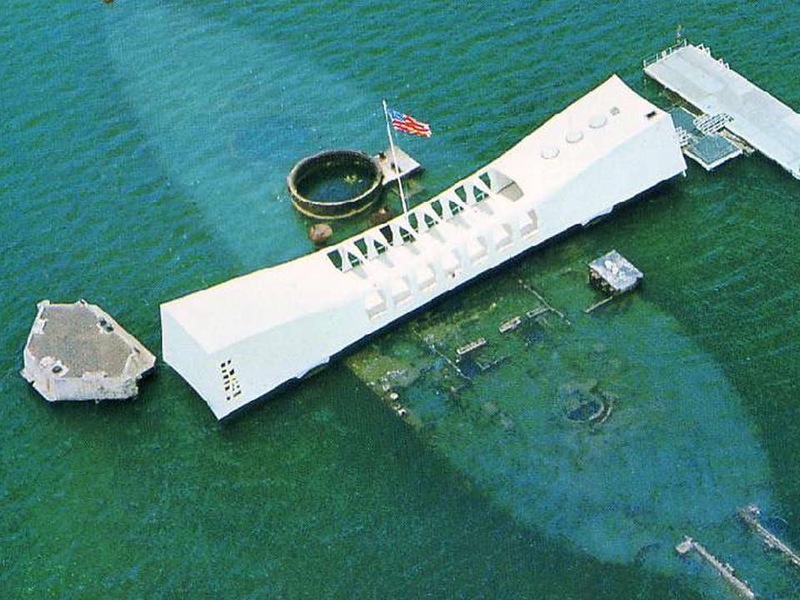 Changing the story of Pearl Harbor Day does NOT change what actually happened in Hawaii in 1941. Let’s pray today Americans will never pay such a price again for our Freedom.